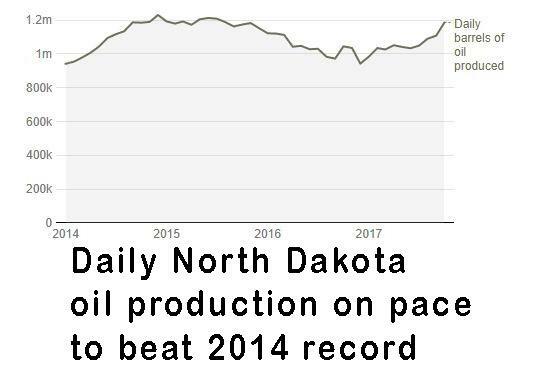 North Dakota oil production continues to slowly increase, and is creeping up on the all-time mark of 1.227 million bbl/day set in December 2014. November figures released this week's show average daily production climbed to 1.195 million barrels, up 11,000 bbl/day from the previous month. Lynn Helms, director of the Department of Mineral Resources, expects producers will set a new record in 2018. In an interview with Scott Hennen on the radio program, What’s On Your Mind, Helms said the news was nearly 100% positive. Helms said with oil prices above $60 per barrel, he expects the number of drilling rigs will increase, but there will be challenges. In November, producers captured 86% of natural gas from all formations, but the rate on Ft. Berthold was just 75%. Helms said pipeline permitting issues with the Bureau of Indian Affairs are the primary cause of excessive flaring on the reservation. Click here to read Helms' Director's Cut. Williams, Burke and Divide counties are expected to add more rigs this year. Renee Jean's Williston Herald story is here. 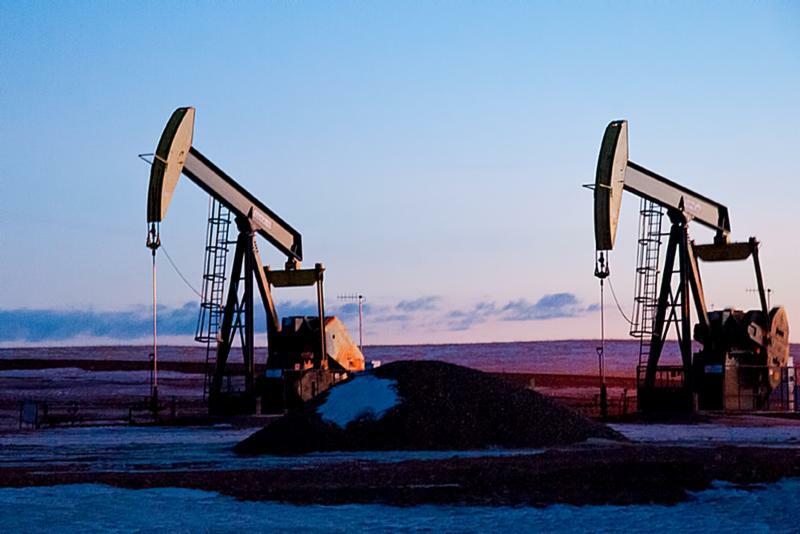 November’s oil production numbers are no surprise to economic development officials in western North Dakota. 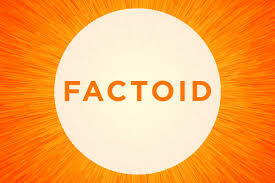 They say the gains are reflected in business activity in their communities. Shawn Wenko, economic development director for the City of Williston, said the increase in production is generating renewed interest in investment. Click here to listen to Wenko’s comments. The story is much the same down the road in Watford City. According to McKenzie County Director of Economic Development Daniel Stenberg, the pace usually slows in the winter months, but he says that didn’t happen this year. Click here to listen to Stenberg’s comments. Wenko and Stenberg made their comments during interviews with WDEA Executive Director Geoff Simon on the radio program Energy Matters. Click here to listen to the full interviews. Wenko’s interview starts at 00:35, Stenberg’s at 42:25. Energy Matters airs every Tuesday from 3:00-5:00 pm on KFYR and KLTC Radio. It is rebroadcast Saturday on WZFG and KTGO Radio. Most of those who testified in opposition to the proposed Davis Refinery at a hearing this week said they didn't object to the facility, but were opposed to its location several miles east of the South Unit of Theodore Roosevelt National Park. 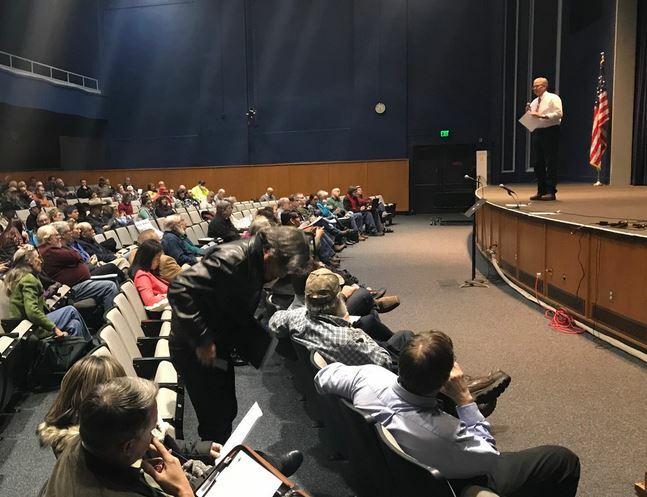 The hearing Wednesday night in Dickinson was conducted by the state Department of Health's Air Quality Division to gather input from the public on the draft Air Pollution Control Permit to Construct.. Meridian Energy Group, Inc. is proposing to built the facility two miles west of Belfield. Opponents complained about the project's proximity to the park, but rarely addressed specifics of the air quality permit. Several opponents said it would contribute to climate change, while others mentioned pipeline leaks, truck traffic and disturbances to wildlife as reasons to oppose the facility. One of the supporters was Natalie Muruato, Belfield City Auditor. She said Meridian has "bent over backwards to meet application requirements," and believes the project is just what rural North Dakota communities are looking for. Click here to listen to Muruato's comments. Click here to read Amy Dalrymple's article in the Bismarck Tribune. 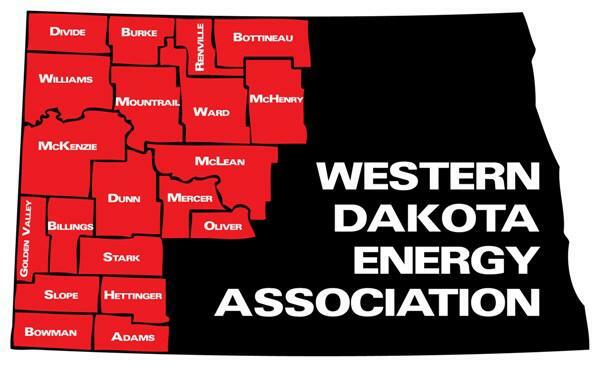 Meridian Energy continued its networking with residents of southwest North Dakota this past Monday night. 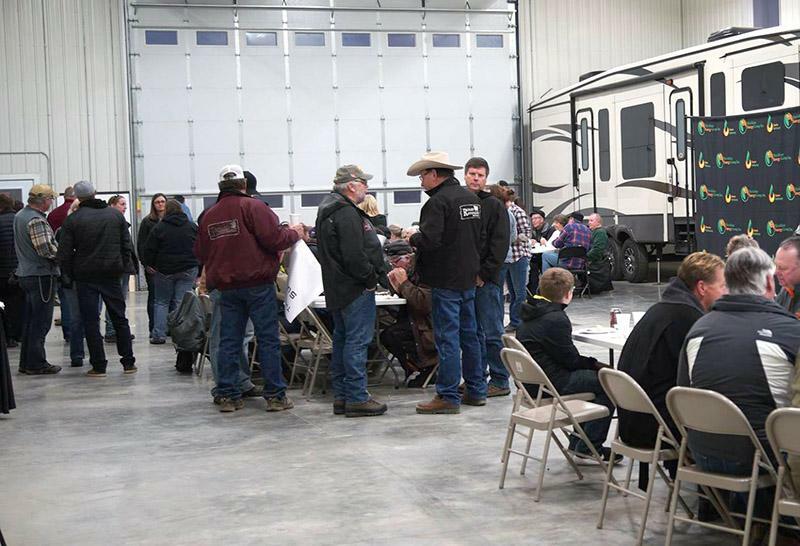 The company’s top officials working on the Davis Refinery mingled with 100 farmers, ranchers, landowners and business people at an open house on the Arrow K farms west of Belfield. ND Legislators will gather at separate meetings in Bismarck next week to discuss energy markets, wind energy taxation and education funding issues. The interim Energy Development and Transmission Committee, chaired by Senator Rich Wardner, R-Dickinson, meets Wednesday at 9:00 am in the Roughrider Room at the State Capitol. Members will hear presentations about the role of regional transmission organizations and their impact on electricity prices, as well as reports from Legislative Council and the state Tax Department regarding taxation of wind and other energy resources. 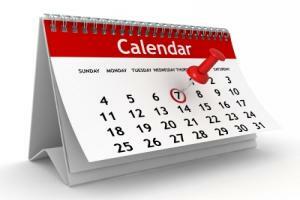 Click here to see the EDT Committee agenda. Members of the interim Education Funding Committee, chaired by Senator Don Schaible, R-Mott, will hear information about K-12 fall enrollment numbers, impacts related to deducting “in-lieu-of” tax revenue and a review of school district mill levies and property taxes. Education leaders will also present information regarding effects of in-lieu-of revenues on the state school aid formula. Among those planning to testify is Dr. Steve Holen, Superintendent of the McKenzie County School District, who chairs WDEA’s Education Committee. 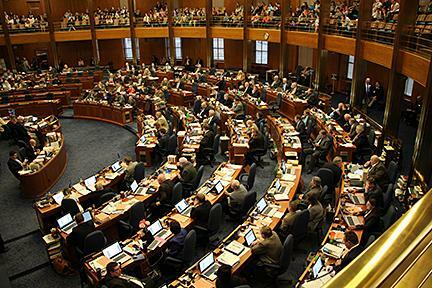 The committee meeting begins at 10:00 am Thursday in the Roughrider Room at the State Capitol. Click here to view the agenda. Around 2,500 people are expected to attend the 39th annual Energy Generation Conference which kicks off next week in Bismarck. The conference will be held Jan. 23-25 at the Bismarck Events Center. It is a cooperative effort among producers, suppliers and educators to promote competitive, efficient and safe energy production. Alison Zarr, Program Manager for Continuing Education and TrainND at Bismarck State College, said there will be 317 vendor exhibits at the event. She said Tuesday’s opening day includes an open house for the public between 4:30 and 6:00 pm. Zarr said presentations during the event are usually technical in nature, but there’s always something new for attendees. Click here to listen to Zarr’s comments. 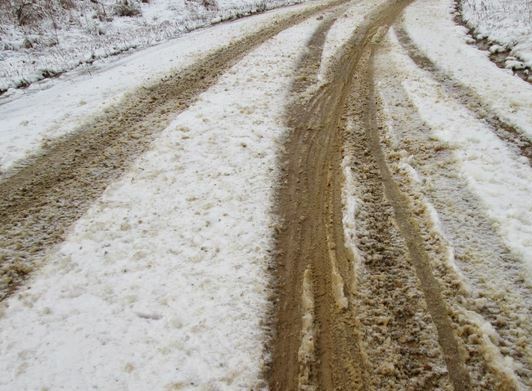 Trucking companies are being invited to attend the Williams County Highway Department's annual frost law meeting February 6 in the Williams County Commission Room, 206 East Broadway, in Williston. The meeting will begin at 10:00 a.m. CST, and seating is limited. The agenda will include discussion of WDEA's LoadPass truck permit system, including several new types of permits that have been approved. The meeting will also cover load restrictions that are planned when frost laws go into effect, NDLTAP's Truck Weight Education program, permitting issues and dust control. State officials launched Vision Zero this week, a safety initiative to work toward zero motor vehicle fatalities and serious injuries on North Dakota roads. Vision Zero will be implemented through various strategies, including: (1) widespread public education and outreach, (2) working with the legislature to ensure state laws represent best practices in traffic safety, (3) high visibility enforcement of existing laws, (4) technology advancements, and (5) infrastructure and road safety improvements. The North Dakota Department of Transportation launched a new pilot program this week that uses technology to track the location of state snowplows and shares that information with the public online. Forty-seven NDDOT snowplows are now equipped with Automated Vehicle Location (AVL) systems which use in-truck technology to log and share data in real time for that truck. The AVL unit in each snowplow sends a signal showing where a truck is located, which direction the snowplow is traveling, average speed and when the information was updated. 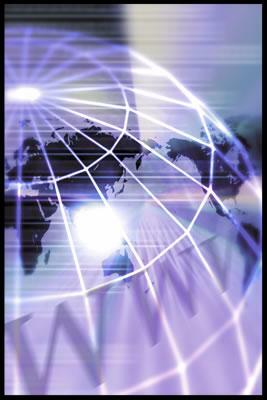 Data is fed automatically to the map online. 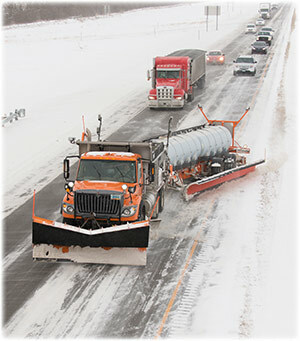 Click here to read more about the Track-A-Plow program. Attempts at drilling oil wells occurred in North Dakota as far back as 1910. The first actual permit to drill was issued in 1923. The first successful well was drilled on the Clarence Iverson farm eight miles south of Tioga. Production began after the vertical well was “shot” at a depth of 11,640 feet on April 4, 1951. The Iverson No. 1 well produced 585,000 barrels over the next 28 years.